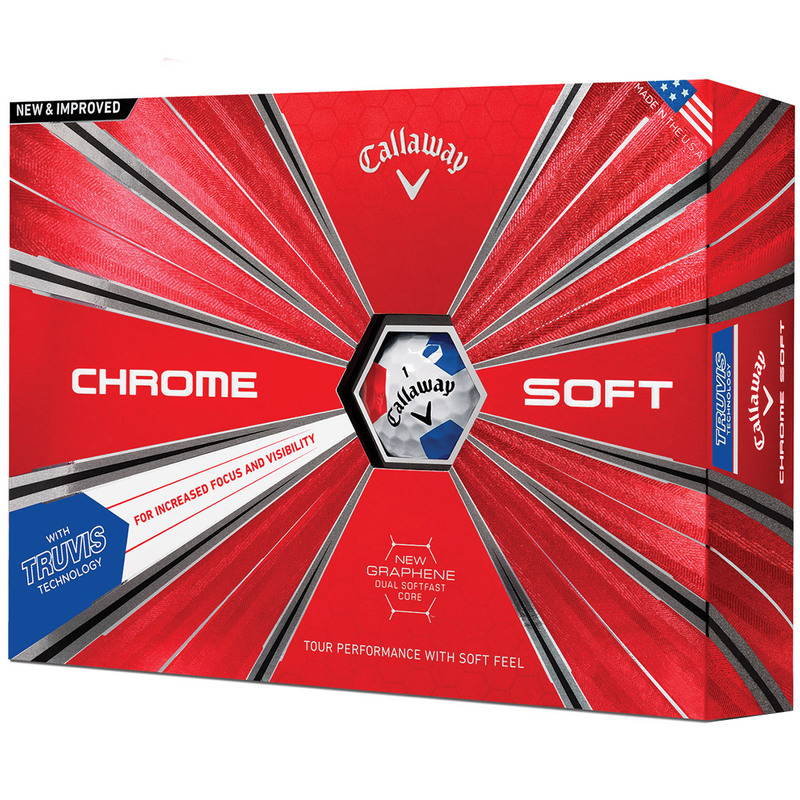 The new Chrome Soft golf ball combines Tour-proven performance with unparalleled feel. 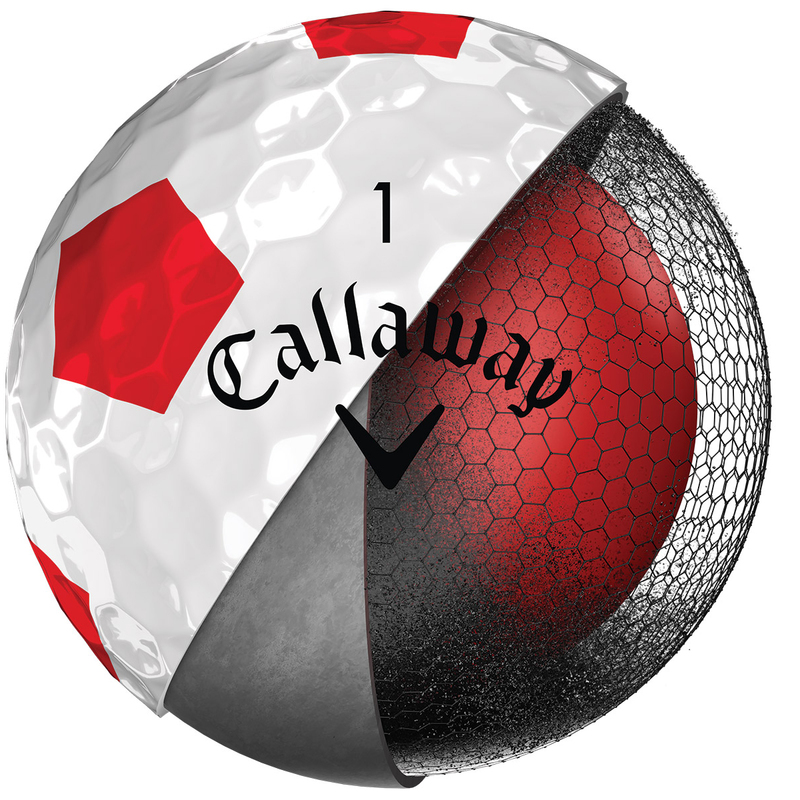 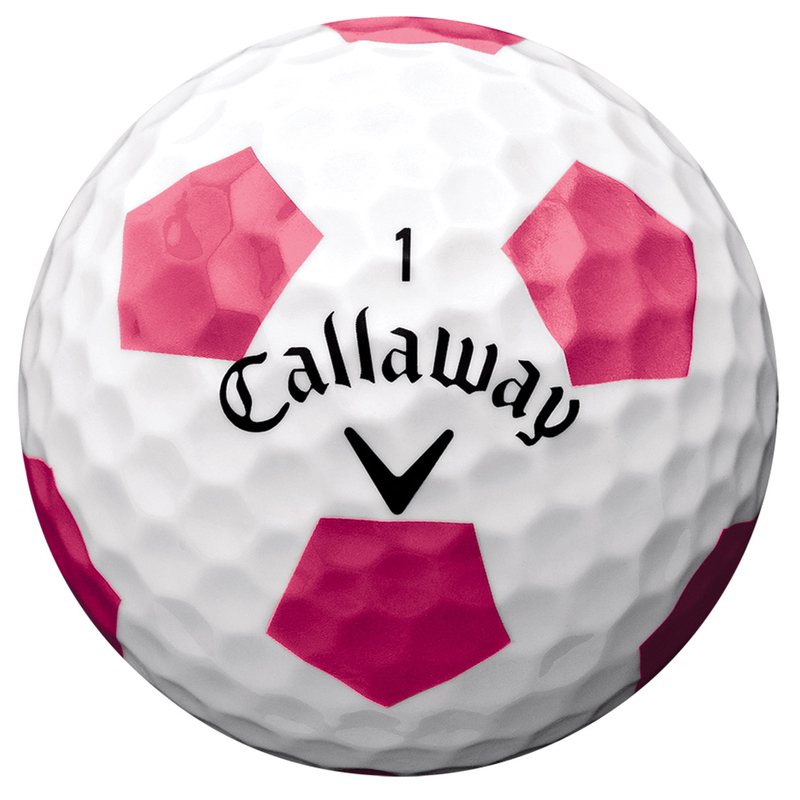 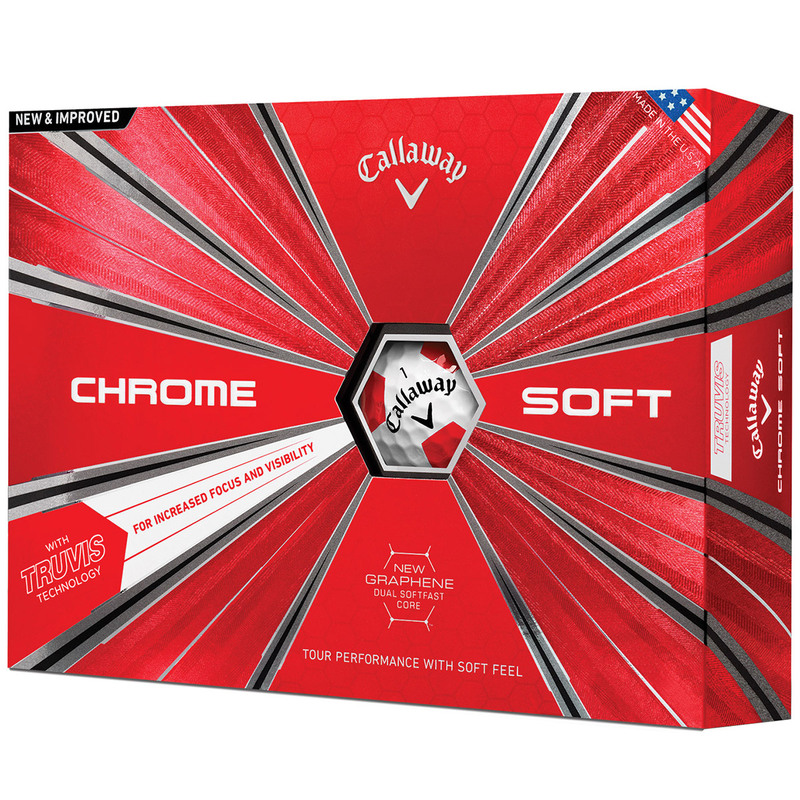 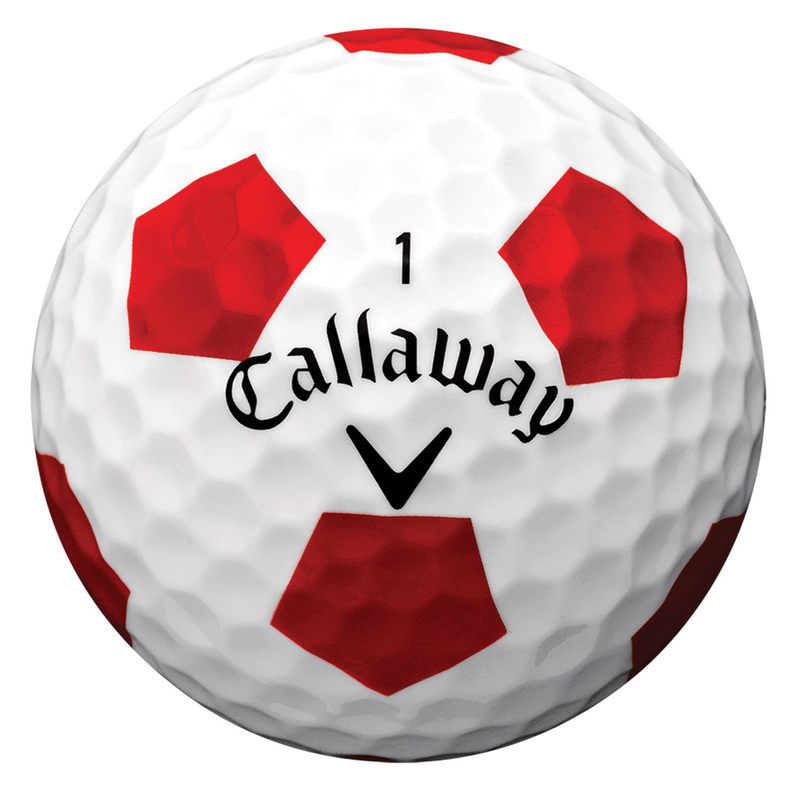 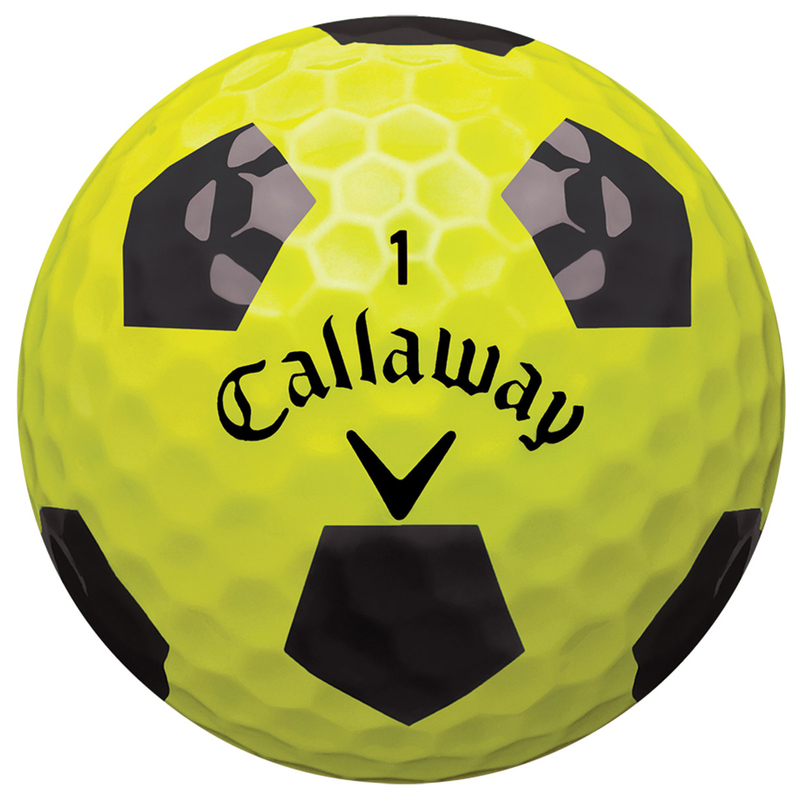 Callaway Golf has innovated every layer of the ball to create an extremely fast and soft-feeling ball that promotes high-launch, low spin, for incredible distance and shot-stopping spin around the green. 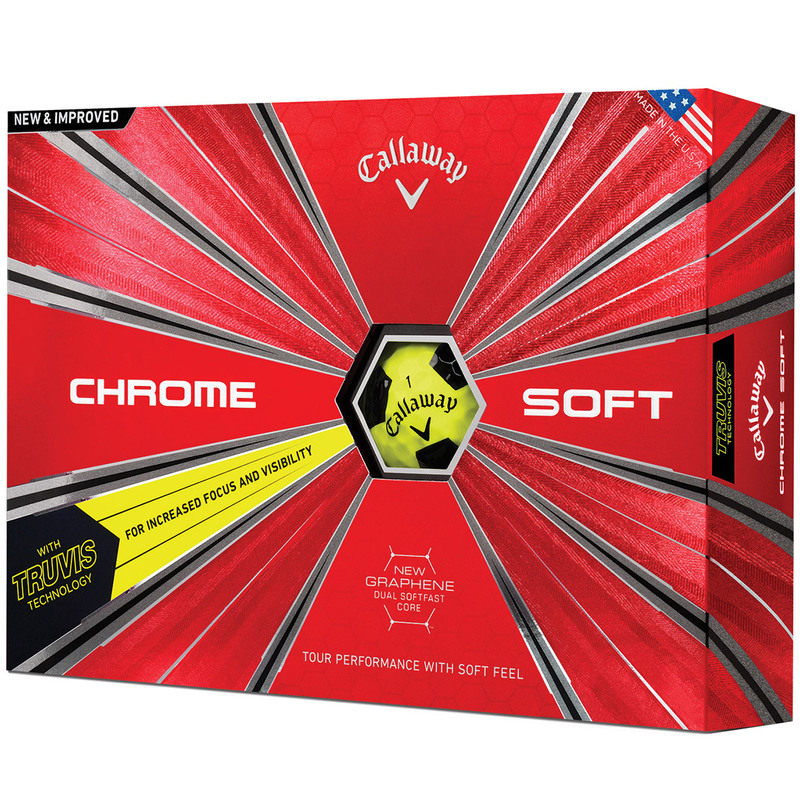 The new Graphene-Infused Dual Softfast Core is engineered to promote low spin and a higher launch, providing maximum driver distance. 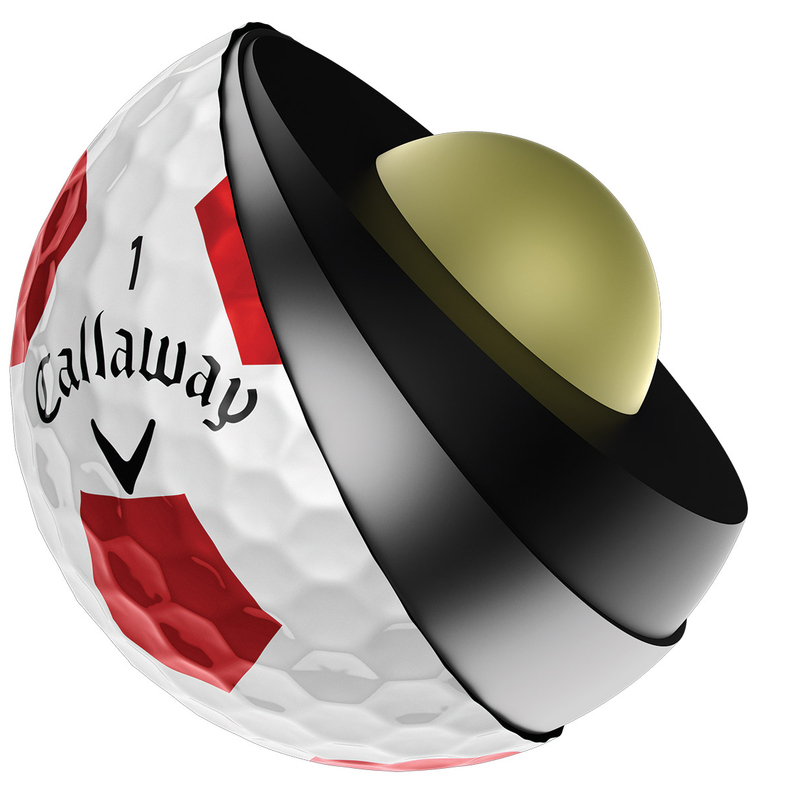 For even more performance the ball features HEX aerodynamics for further distances, with a low and penetrating ball flight for a Tour performance. 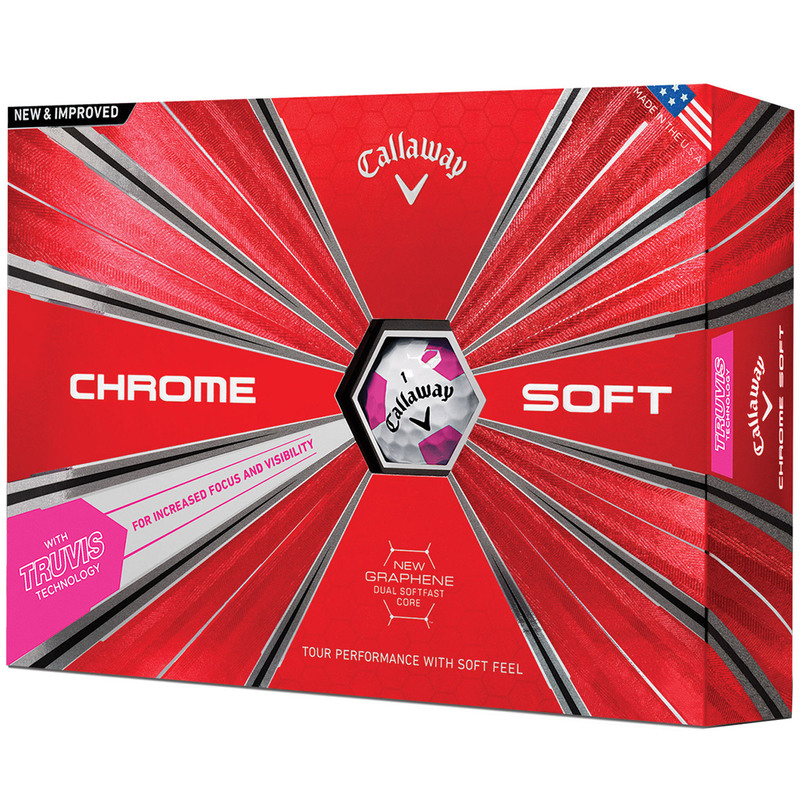 The ultra-soft Tour urethane cover feels soft and generates spin on shorter irons and wedges for better control around the greens. 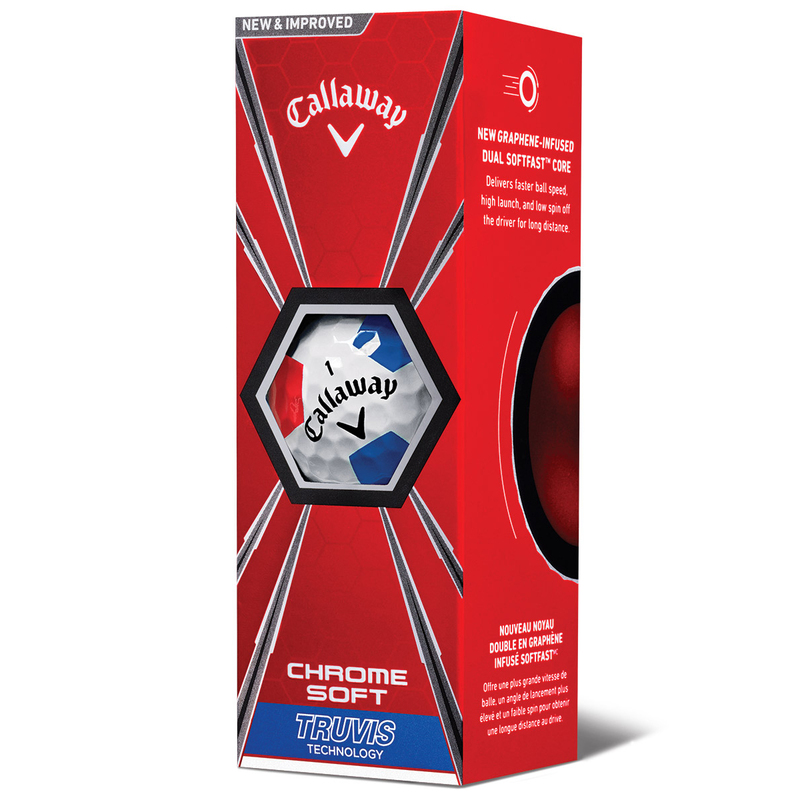 Callaway Golf has designed the ball to maximise your view of the golf ball with Truvis technology, a pattern which increases your focus and visibility.